This book offers in-depth insight into the art, culture and aesthetics of the Japanese garden. Written from a garden design perspective, garden-maker and author Sophie Walker explores the conceptual, abstract nature of the Japanese garden and considers the many complex layers of meaning. Surveying almost fifteen hundred years of Japanese garden-making, this publication includes ancient Shinto shrines, Imperial gardens and contemporary urban designs. Sophie Walker considers how in this time, invention in the Japanese garden has been stated and reinstated, and looks at the enduring impact of its art. 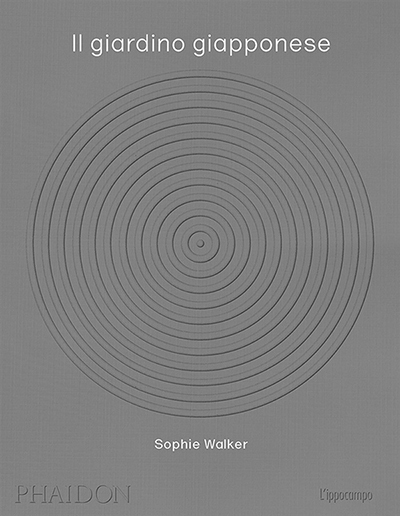 Setting the narrative structure for the book, Sophie Walker explores the subject through twelve illustrated chapters. In her considered text, Sophie Walker asks how the Japanese garden engages with religion and history, with philosophy, ethics and abstract thought. She pursues the conceptual possibilities of the Japanese garden – the propositions for which there is no definitive understanding, unless of course there is… Addressing concepts such as mitate, Sophie Walker asks how it is that the Japanese garden can challenge us to believe that a rock is not simply a rock but a mountain. How can a garden come to fathom such a mighty shift in our understanding? The text is dotted with reference to artists who have been influenced by the Japanese garden: John Cage and his work Ryoanji, 1983; Richard Long’s A Line In Japan, Mount Fuji, 1979; Anish Kapoor’s When I Am Pregnant, 1992; Tatsuo Miyajima’s Tatsuogaki; Walter Gropius’ postcard to Le Corbusier from Ryoanji, in 1954. Sophie’s writing is interspersed with entries on individual gardens that relate to each theme in the text. Examples include Byodo-in, Daisen-in,Fushimi Inari Taisha, Yokoo House, Korakuen, Tairyusansou and Taiko-an. Concise captions give an overview of each garden (date, designer, location, type), and they are illustrated using colour and black and white photography, with an emphasis on using previously unpublished photographs taken by cultural figures whose own work is influenced by the Japanese garden. Sophie Walker will illustrate the book using images taken by Frank Lloyd Wright (who visited the gardens in 1905), Isamu Noguchi, Yves Klein, John Pawson, David Chipperfield, Sam Francis, David Hockney and others. Sophie has procured a series of short essays written by invited cultural figures. These include artist and Zen practitioner Anish Kapoor onImmanence and States of Becoming in the Japanese Garden; architect Tadao Ando examines the garden as the heart of ‘place’, while architect John Pawson considers Expanding Space In The Japanese Garden. In his essay Even The Moon Borrows Its Light From The Sun, author Tan Twan Eng considers the Japanese garden in relation to his award-winning novel Garden of Evening Mists, asking whether shakkei, or ‘borrowed landscape’, can be a metaphor for creative writing. Artist philosopher Lee Ufan, considers what the garden reveals, mathematician Marcus du Santoy writes Fractal Geometry and Cosmic Landscape in the Japanese Garden; conceptual artist Tatsuo Miyajima investigates Mitate: A Leap of Imagination. These may be interspersed with Walker’s text or grouped together at the back of the book. An illustrated Glossary of Plants features 72 garden plants with rare highlights from wild Japan, followed by a List of Gardens, Glossary of Terms, Index of Architectural Periods, Bibliography and Contents page.